Vaccinium myrtillus, the bilberry, is a small plant with a long history. Its fruits are considered to be a superfood and have several available forms and many ways to be used in the kitchen. 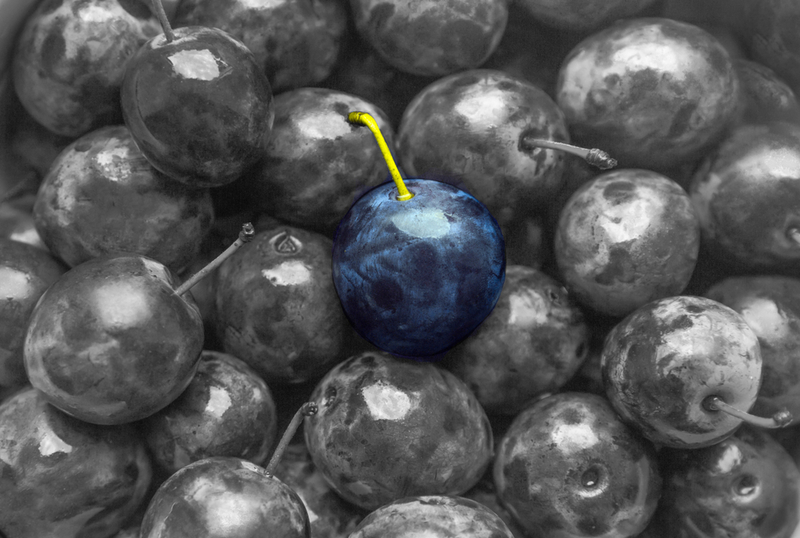 See what the bilberry fruit is and what significant impact it might have on your health. Bilberries — also known as whortleberries, European blueberries, or huckleberries (to name a few) — are close cousins to blueberries but are slightly smaller. Like blueberries, they are sweet with a hint of acidity. Bilberry shrubs grow only 6 to 12 inches tall and are native to northern Europe, though now you can find them growing wild in the Rocky Mountains, European and Asian regions, and other parts of the Arctic and subarctic Northern Hemisphere. These sweet, deep-blue berries (and sometimes the leaves of the shrub) have been used since the Middle Ages as medicine for diarrhea, scurvy, infections, burns, diabetes, and improving vision. In the 1700s, herbalists became better acquainted with the medicinal uses of bilberries and treated bladder stones, scurvy, and coughs with them. The story of Royal Air Force pilots consuming bilberry jam for improved night vision during World War II sparked the current interest in the fruits. They are still used to treat cardiovascular conditions, diarrhea, urinary tract infections, eye problems, and diabetes. Ongoing studies seek to determine their usefulness in treating and preventing cancer, dementia and Alzheimer’s, and liver and kidney disease. The bilberry fruit’s wide range of uses is little wonder, as it is a rich source of an antioxidant called anthocyanin, which gives the fruit its beautiful color. Not only is it rich in antioxidants, but it also contains tannins and flavonoids; vitamins A, B1, B2, C, E, and K; and minerals like chromium, manganese, zinc, and iron. Cardiovascular health. Compounds in bilberry fruits can prevent platelet accumulation, strengthen capillaries, and improve circulation. Flavonoids in the leaves of the plant may be helpful for improving circulation in people with diabetes (which, in turn, promotes their retinal health). Reduced inflammation. Anthocyanin and tannins act as anti-inflammatory compounds, helping to treat diarrhea, nausea, indigestion, mouth or throat irritation, and the effects of aging. The fruit’s anti-inflammatory properties also make it practical for preventing cancers such as leukemia, colon cancer, and breast cancer. It may be the most effective berry for cancer cell inhibition . Control of diabetes. Bilberry fruits remain the most popular herbal option for diabetes treatment in Europe . They can help relieve symptoms such as poor circulation and may help stimulate insulin production. Improved cognition. One study in the Journal of Nutritional Biochemistry concluded that the bilberry’s phenolic compounds might reduce symptoms in people with dementia and Alzheimer’s . Liver and kidney health. By raising glutathione and vitamin C levels and lowering nitric oxide, bilberry fruits can improve liver health. They have also been reported to support kidney function and halt kidney failure by aiding the excretion of heavy metals and by contributing to the maintenance of creatinine, urea, and nitrogen levels in the blood. Be aware that, as with all medicinal products, you may experience some side effects from bilberry supplements. Allergic reactions to bilberry fruits and supplements have occurred, and consuming high concentrations of bilberry products can cause toxicity. Taking these supplements before and after surgery or while you are pregnant or nursing may have harmful effects. Finally, interference with blood-thinning medications can slow clotting, and interactions with diabetes medications may cause hypoglycemia. 1 to 2 teaspoons of mashed berries or finely chopped dried leaves as tea. These products and supplements can be purchased online or at health food stores. Bilberry fruits are also available in their fresh form when either harvested in the wild or homegrown. Bilberry seedlings can be purchased and grown with exceptional ease. Just plant them in full sun (in colder climates) or partial shade (in warmer climates). Although they need protection from excessive heat, they will thrive with little care and in poor soil. You can harvest the berries in the fall and eat them raw, dry them, or turn them into tea, pie filling, juice, or jam. Try one or more of the following recipes. Spread bilberries on a sheet pan in a single layer. Dry in a 200 degree (F) oven for 6 to 8 hours, checking frequently. Add bilberries and 1 cup of water to a saucepan. Bring to a boil and cook until the berries burst. Strain through a muslin-lined sieve. Return to saucepan, add sugar, bring to a boil, and simmer for a few minutes. Store in a sterilized bottle. Dilute to taste with hot or cold water, or with sparkling water, for a refreshing drink. The syrup is also good in salad dressings or over ice cream. Preheat your oven to 375 degrees (F) and grease the pie dish. Combine the berries and sugar, and set them aside for 10 to 15 minutes. Prepare your pie crust as needed. Assemble the pie by placing one crust in the bottom of the dish, spooning in the filling, and covering the top with a second crust. Crimp the edges of the top and bottom crusts and cut a slit in the top crust for steam. (At this point, the pie can be frozen.) Bake the pie for 45 to 50 minutes (allow five extra minutes if baking from frozen). When you remove the pie from the oven, you can sprinkle it with some sugar and allow it to cool slightly. Serve with ice cream or, more traditionally, clotted cream. Bilberries, the close cousins of blueberries, are tasty morsels with potent anti-inflammatory properties. Give them a try and experience these and other health benefits of this wild-growing superfood.